The Alaska Department of Transportation and Public Facilities (“DOTPF”) is finally building the new bridge across the Chena River, connecting Barnette Street with Illinois Street. If the contractor can refrain from dropping any more inappropriate things into the river, it may even get completed. The bridge needs a name. The name should not be Barnette, even if the street is. E. T. Barnette was a scoundrel, cad, rogue, thief and con man. For a time in Fairbanks, the city he founded, the phrase “to Barnette” meant to steal, swindle or defraud someone. Among other landmarks, Alaska has a street and an elementary school named after the man. Much more is named after members of his family. That’s more than enough. On the other hand, there is a man who was involved in the transportation industry in Alaska his entire life, served with distinction in a wide variety of positions, and, by all accounts – and in sharp contrast with Barnette – was a pretty good guy. Robert E. “Bobby” Sheldon arrived in Alaska in Skagway at age 13 with his father. He remained in Skagway at age 14 after his father left. Five years later, Sheldon built Alaska’s first car – even though he had never seen one in person before. The 105 year-old runabout is now on loan to Fountainhead Antique Auto Museum from the University of Alaska Museum of the North. A few years after he moved to Fairbanks from Skagway, Sheldon ordered the town’s first Ford Model T. From Samson’s Hardware; a building demolished to make way for the new bridge. On July 29, 1913, he and three passengers left Fairbanks to attempt to drive the car over the 360-mile wagon trail to Valdez. They faced many hardships, including crossing the Tanana River at Big Delta. The ferry wasn’t operating due to the river’s floodwaters, so Sheldon and his crew built their own ferry out of two poling boats from the nearby Native village. On August 2 (after a side trip to Chitina) the crew arrived in Valdez. 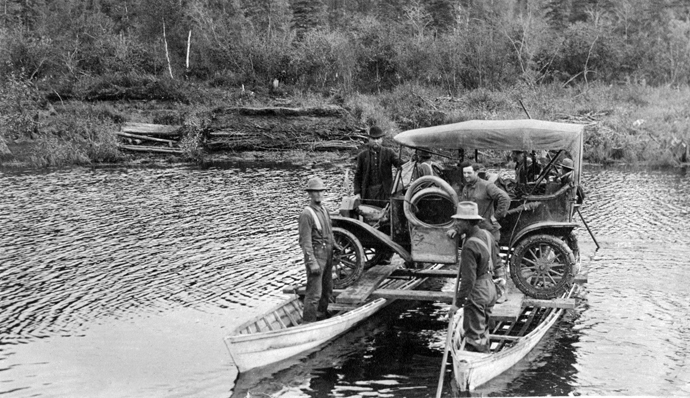 Sheldon’s pioneering trip proved that cars could navigate the trail, and within a few years the Richardson Highway Transportation Co. owned by Robert Sheldon, George Hazelet and J.L. Galen, began Alaska’s first automobile passenger stage on what would become the Richardson Highway. Sheldon was a representative to the 8th and 9th Territorial Legislatures. 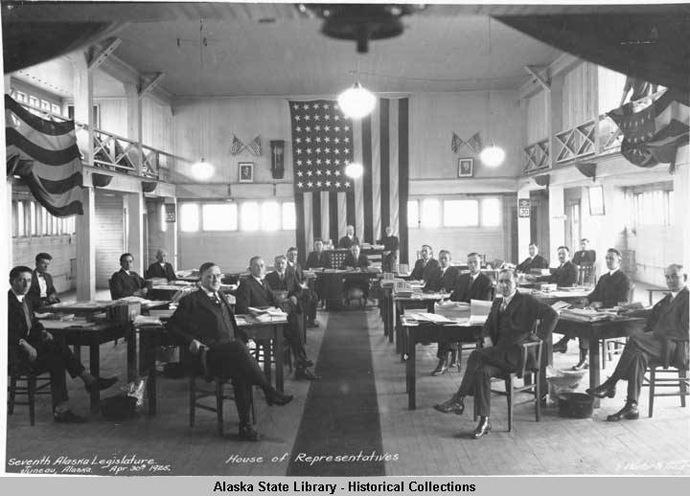 Unusually, he was also a representative from Fairbanks to the first State Legislature. Sheldon was a vigorous promoter of tourism in Alaska, and in the 1920s he and his partners operated the first bus concession in Mt. McKinley National Park. Sheldon also served as an Alaska Road Commissioner, Territorial legislator, State Representative and Fairbanks postmaster before passing away in 1983. That’s an extremely distinguished career. Yet, so far as WC can find, the Alaska Dictionary of Geographic Place Names by Donald J. Orth list no – zero -none – no places named as Bobby Sheldon. Inventor, pioneer businessman, entrepreneur, civil servant and legislator; Alaska has many landmarks named after folks who did far less. Bobby Sheldon even has family members still living in Alaska. WC urges the State Legislature and the Alaska Department of Transportation and Public Facilities to do the right thing: honor an important Alaskan by naming the new bridge the Bobby Sheldon Bridge.